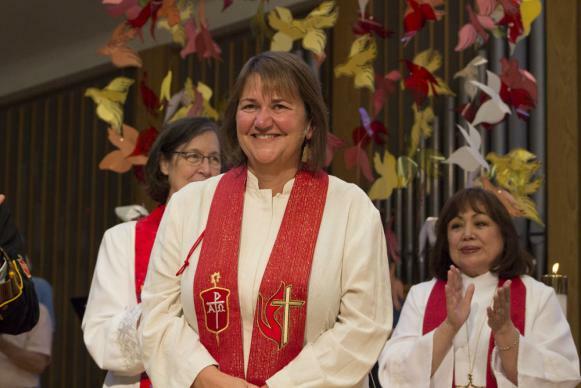 On Saturday, 29 April, the Human Rights Campaign Foundation (HRC), the educational arm of America’s largest LGBTQ civil rights organization, released the following statement in response to the United Methodist Church’s (UMC) decision to rescind the appointment of openly lesbian Bishop, Karen Oliveto. Oliveto’s appointment was challenged earlier this year by the South Central Jurisdiction of the Church. said Ashland Johnson, HRC Director of Public Education and Research. At the May 2016 General Conference, the gathering of UMC’s top policy-making body, the Council of Bishops established the Commission on a Way Forward. The purpose of the Commission is to develop a complete examination and possible revision of every paragraph regarding human sexuality in the Book of Discipline, the formal collection of United Methodist doctrine, beliefs and policies that outline the roles and responsibilities of local churches. The Council of Bishops charged the Commission with addressing LGBTQ issues and exploring options to maintain and strengthen the Church as a whole. According to its mission, the Commission’s work is intended to “inform deliberation across the whole church and to help the Council of Bishops in their service to the next General Conference,” which will take place during a special session in early 2018. In the interim, the South Central Jurisdiction of the Church asked the church’s high court to review Oliveto’s elevation. It alleges Oliveto’s election violates the Book of Discipline. This review is one of seven similar cases went before the church court from April 25-28, in direct conflict with church’s previous position that such LGBTQ-related deliberations would be held in abeyance until the 2018 special session. People look to their faith as a source of guidance and inspiration – and LGBTQ people are no different. HRC Foundation’s Religion and Faith Program is working to create a world where nobody is forced to choose between who they are, whom they love and what they believe. The Human Rights Campaign Foundation is education arm of America’s largest civil rights organization working to achieve equality for lesbian, gay, bisexual, transgender and queer people.